I love to watch Paula Dean make all of her buttery-goodness southern traditional treats and always had a craving for that Gooey Butter Cake. Butter, powdered sugar...more butter. I knew it had to taste spectacular. Since my Grandpa comes over for our weekly Sunday dinner, I thought that would be the perfect time to test out this cake. It was a hit!! My Grandpa requested a few pieces to take home, and even Channa loved it and took some to work the next day..."for his breakfast". 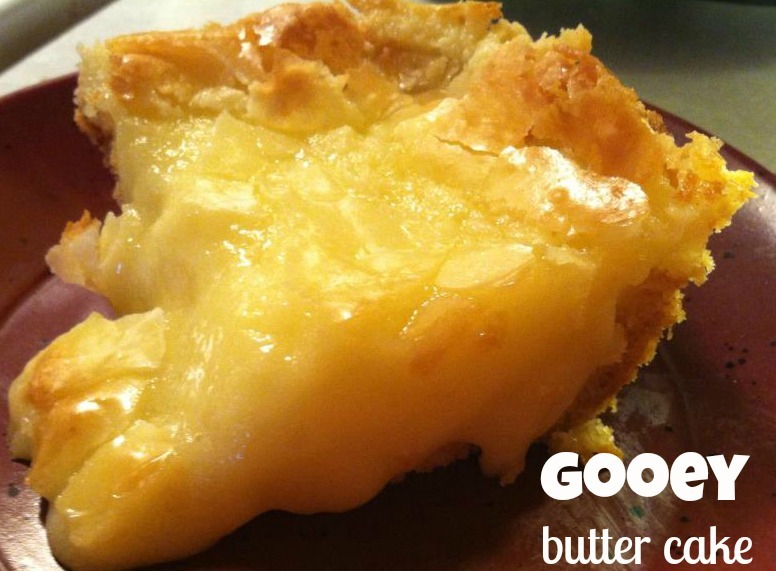 It is rich and buttery, and gooey, and well, just plain wonderful! Paula Deen's website for the Gooey Butter Cake. Lightly grease the bottom of a 9x13 baking dish. 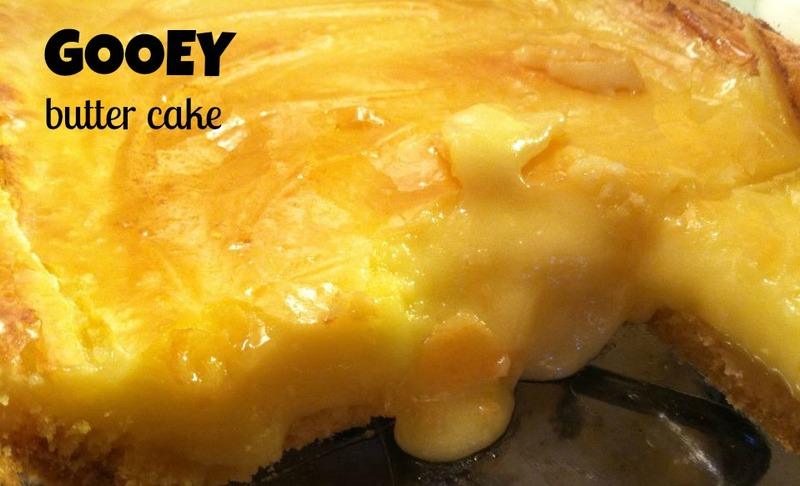 Combine the cake mix, egg and butter. Pat into the bottom of the baking dish. In a large bowl beat cream cheese until smooth. Beat in the eggs, vanilla and butter. Add powdered sugar and mix well until well combined. Spread over the cake batter in the dish. Bake for 40 minutes or so, the middle of the filling should remain gooey. So don't over bake.